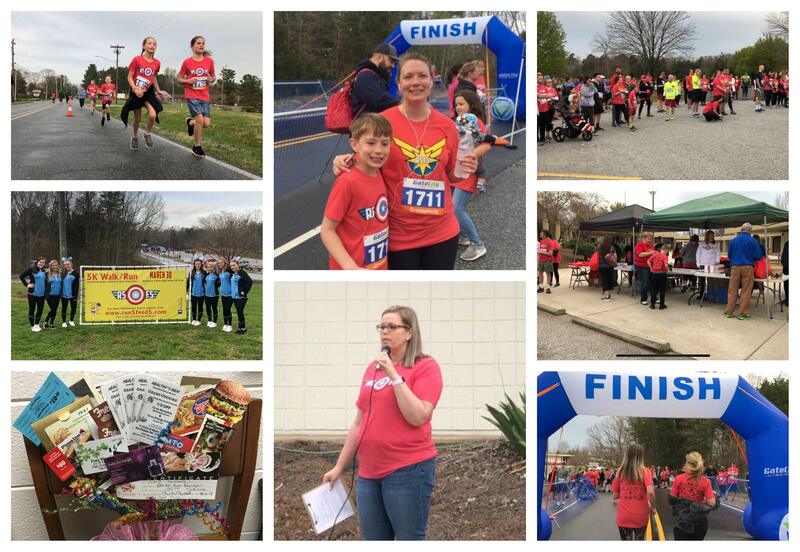 A-T area schools, community fight childhood hunger at "Run 5 Feed 5"
The Run 5 Feed 5 5k race event took place on Saturday, March 30th at Trinity High School and was presented by Archdale Wesleyan Church. Run 5 Feed 5 is a 501c3 organization that hosts events throughout the year to fund programs that feed hungry children. The mission started in 2014 with the hope of raising money and awareness for the dire childhood hunger problem in local communities. In the first five years of fundraising, over $200,000 has been raised to fight childhood hunger. Right now in North Carolina, one out of every four children is going hungry, and their goal is to fight that statistic! Visit https://run5feed5.org/ for more information on how you can help. Click HERE to watch footage of the event!